The most beautiful day of your life with Delphina hotels & resorts. 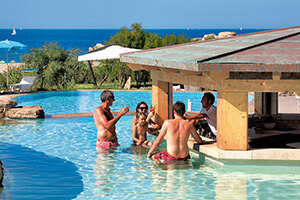 Discover the finest locations for weddings in Sardinia. 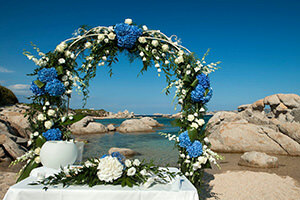 Trust Delphina to organize your wedding in Sardinia and celebrate your special day on the island’s heavenly beaches. 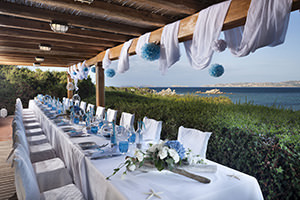 Getting married in Sardinia is a dream that can come true: choose the hospitality offered by Delphina hotels & resorts and the unique locations found in the North of Sardinia. Our qualified and highly experienced team is ready to grant your every wish. Delphina’s Wedding Planner will create your own fairytale wedding! 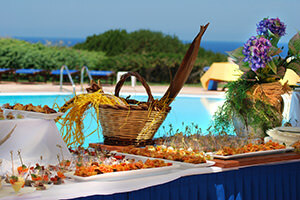 You want to celebrate your wedding in Sardinia and you’re looking for the perfect place to say “I do”? With Delphina you can choose from 7 luxurious 4 and 5 star hotels all by the sea in Gallura between the Costa Smeralda and the Costa Rossa. 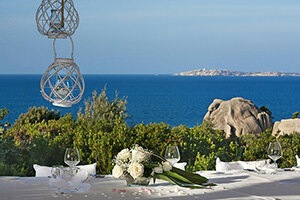 Each hotel has its own personality and appeal and offers exclusive services to those who wish to get married on beaches of pure white sand washed by the crystal-clear seawater of the North of Sardinia. Little bays, wooden platforms over the water, luxuriant Mediterranean vegetation and breathtaking views are the perfect backdrop for your dream wedding. You can depend on an attentive and dedicated team of wedding planners with more than ten years of experience in organizing weddings. Bedrooms to dream of, talented chefs, wellness centres, high quality boats and lots more besides to guarantee a unique and unforgettable event. a team of wedding planner and events staff who will transform your ideas into moments of magic.